In the second installment of my research series, I explained how to read research in as little time as possible. In my third and final installment, I will explain how not to do research. Warren Buffet’s mentor, Benjamin Gharam once told Buffett that the key to success is to “make as few mistakes as possible.” So if you only follow the advice in this article and ignore the second article, you will still be an astute consumer of research. The last article was somewhat lengthy. My goal was to make the process as easy and efficient as possible to save you time, but also to present a systematic way to do research. This article will be shorter, but no less important. 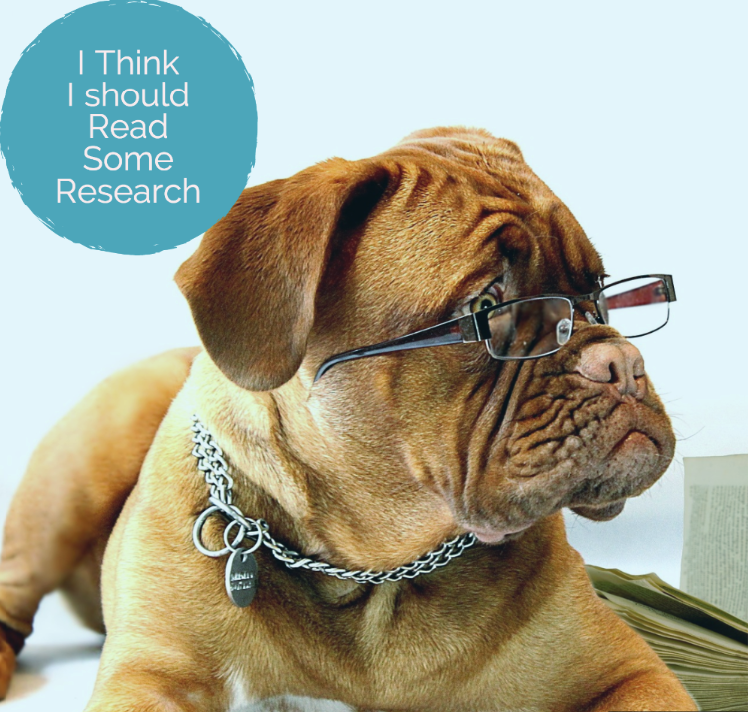 Here are 4 simple "don'ts" that will help you become a research champion. It was the Chinese philosopher Lau Tsu who said, “do hard things when they’re easy.” Today reading research is easy. Tomorrow it will be harder because the pile of articles you want to read is higher. If you wait too long, eventually you will never do it. That’s why I encourage you to set aside a specific time each day, or each week, to read the research. I prefer to do it in the morning before work and before I have any interruptions in my day, but it’s your choice. 2) Do not be overwhelmed. Personally, this is my biggest barrier to research. What the hell do I read? The proliferation of information is staggering. More information has been produced since 2003 than before 2003. There are potentially hundreds of article, dozens of textbooks, dozens of con-ed courses, and now at least a dozen quality PT podcasts. It’s easy to be overwhelmed. The solution is not to try to consume everything. You could read 24 hours a day every day and you still would not be able to consume even 1% of the available research. There’s a term among businessmen and investors called “fear of missing out” or FOMO. Here’s a sad fact: you will not be able to read or learn everything you want to. You will have to make tough choices. You will have to be judicious. That’s okay. As long as you are reading or learning something, you are becoming a better clinician. Remember the key is to make as few mistakes as possible. 3) Do not rely on social media. 4) Do not base your practice on one study, regardless of the authors, the expense, the letters behind the names of the authors, the conclusion, the title, etc. I hope you have enjoyed this series. I’ve tried to present a systematic way to do research as efficiently as possible. -Research is important. It’s your duty and obligation, not a choice. You should be constantly evolving. Don’t ever be content. 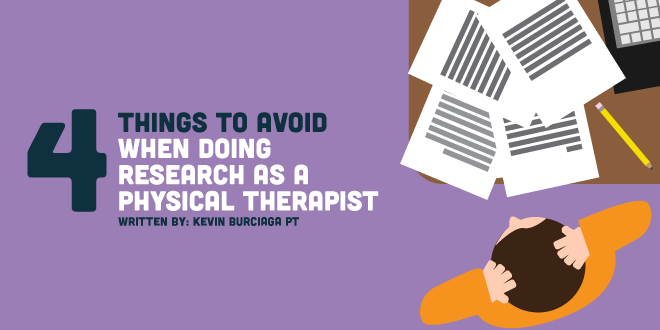 Don’t rely on others (i.e.- social media) to do research for you. - Be consistent. Set aside a certain time to do research. Otherwise, you won’t do it. Remember, aim for an article a day. - Read only a few journals. They should be articles you have full access to. If you go to school, you should have full access. If you’re an alumnus, ask your school for full access. You deserve it. -Don’t worry about everything you’re missing (FOMO). You won’t be able to read everything. It’s okay. -Don’t change your practice based on one article but change at some point. Don’t be the therapist who’s just now finding out that faith-based therapy doesn’t work. -Read critically. Don’t skip the results and discussion. That’s the best part! You should read the entire article if the article interests you. Read the abstract and conclusion to see if the article interests you.